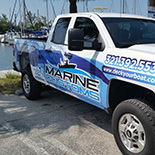 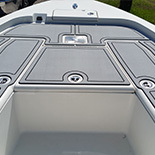 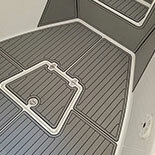 We had a customer that reached out to us for a quote to add some marine decking to a few areas airboat. 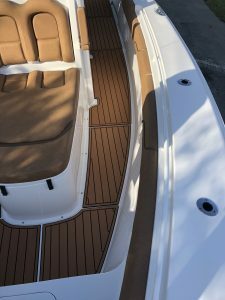 He wasn’t interested in decking out the entire boat, and only needed just enough to ensure his dog could stay comfortable and safe while keeping him company in the great outdoors. 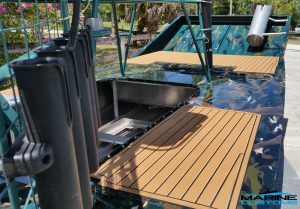 We provided our customer with a few quotes to review, ranging from a full deck layout to a variety of partial deck layouts. 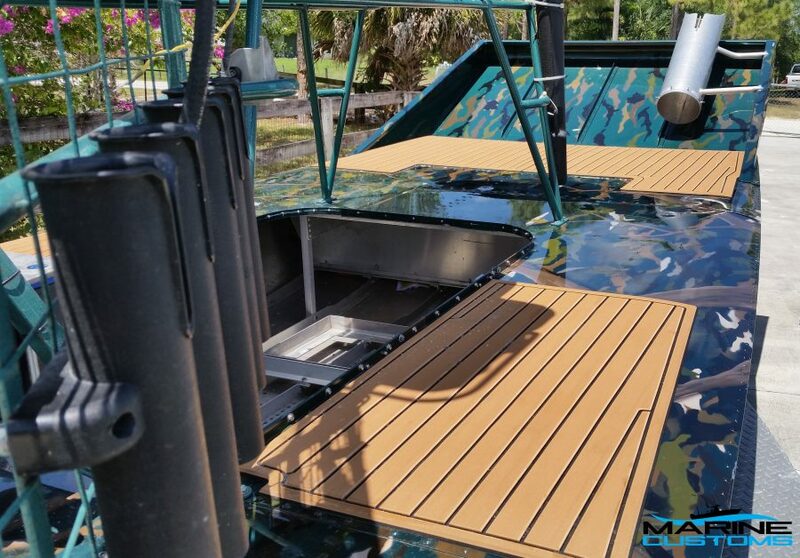 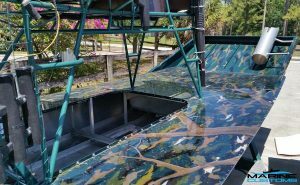 The layout of choice was for a partial layout finished with our Brown over Black Faux Teak 7mm material and which was applied to three main areas of this air boat…………the dogs favorite hang out spot at the bow as well as the port and starboard step areas.